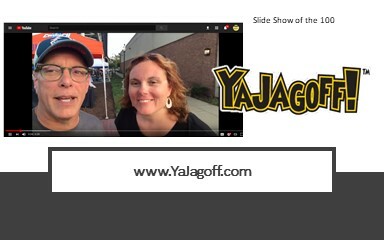 All week long we will be showing some stuff from the first 100 episodes of the YaJagoff Podcast. Tomorrow, you will hear the 100th episode .. .recorded at the party last Thursday night. Here is a slide show of some previous 100 episode memories. Thanks to Pittsburgh Podcast Network intern, Hannah Lapiska, for putting this together. Rochester, New York Jagoffery Art!